Do We Have An Obligation To Convert Others To Go Natural? | KinkyCurlyCoilyMe! Do We Have An Obligation To Convert Others To Go Natural? When I decided to go back to being natural, it wasn’t an easy a decision to make. The process is an intimidating one for many young women who decide to transition, particularly for those who have worn chemically-relaxed hair since their adolescence. There are many who find that it’s not an easy decision to make ourselves. For people like us we look for inspiration from others such as friends, family, bloggers, vloggers, YouTube channels of people who are openly natural. We dig into their history to find out what made them come back to being natural, the first steps they took, the difficulties, the setbacks, the comebacks and much more. It’s exciting and helpful to see the wondrous “before and after” images, the diy mixes, the hairstyles and techniques on that person’s natural hair journey. 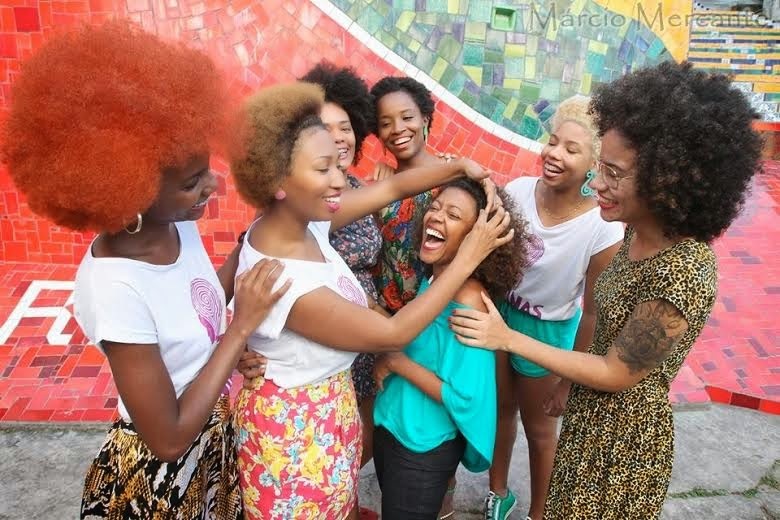 We want to know how that person got back to their natural hair and became comfortable in wearing it out confidently. It often makes us question ourselves “can I do it just like she did?” What I learned from the natural hair journey of others I followed when I was deciding to become natural again convinced me of my decision to go natural. We know that at the end of the day you have to decide for yourself, however, the decision can be greatly affected by the information we learn through those we consult with on our conquest of being natural again. Can one say that those who are natural is therefore obligated to convert others to go natural? Well it all depends. I never knew I would be natural. Like others, my hair stayed chemically- relaxed every 4- 6 weeks without missing a beat. My hair was lifeless and it hardly looked lustrous unless I went to the salon. When I did go to the salon I always walked out feeling like a “Boss” and twirled all the way to my “boss” car. Which at that time was a Mazda Protégé (don’t laugh, it was a BMW in my head.) I never could see myself as natural because well it wasn’t in my environment and it had a negative connotation attached to it. Also, because I am Nigerian, the only way I thought I could go natural was to cut all my relaxed hair off to a TWA. This was not going to work for me. There was also my attachment to weaves which was another reason for me not to entertain the idea of going natural because weaves gave me an alternative and straight hair was my norm. It was all I saw and it was all I knew at the time. When I finally decided to come back to my natural hair, it was a decision I could not have made on my own. As mentioned before, I never entertained the idea so I couldn’t picture it happening, yet it was on my mind. At that moment we realize this journey of our natural hair we share online is reaching the souls of others and through it you are converting people back to natural. I think natural hair influencers have more of an obligation then those without a social media presence. We have more of an obligation because we have decided to open our journey to the world therefore, we are sending our viewers a message that “if I can do it, you can too and here is how I am doing it.” With each “read this post”, “click this link”, or “watch this video” we are indirectly converting someone and it’s our responsibility to be truthful in what we share about our natural hair journey. It matters to not just ourselves but our viewers. The ones we see comment and share our post consistently and the ghost viewers who remain silent but encouraged. Grace is the founder of nappyfu.com. Her alias Nappyfu stands for “Nappy For You” showcasing every natural thing she does is in hopes to inspire others on their natural hair journey. Fun and informative are two words consistently used to describe this natural hair’s blog articles and YouTube videos. Her content covers everything needed to make your natural hair work for you all while being cautiously entertaining. Subscribe to her on YouTube for monthly tips, styles, diy’s, how-to’s and more.